Katie's last day of school was on Tuesday. We are both going to miss it! This was her first day of school this year. She has grown so much. I have to buy her size 5 clothes now, because she has gotten so tall. That's not something she inherited from me. 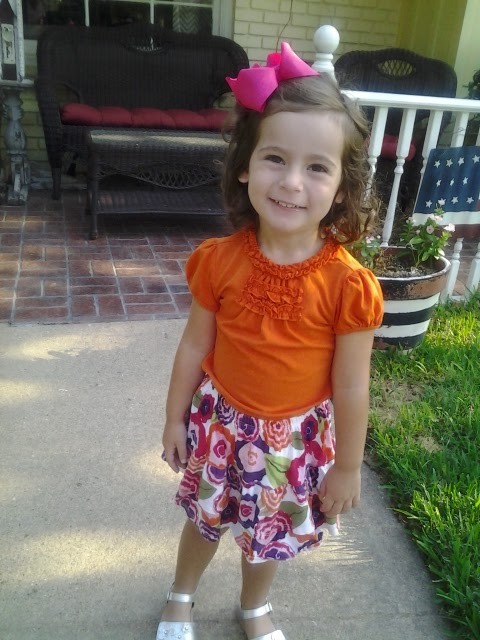 She will be in Pre-K next year. Then it will be time for kindergarten. I can hardly think about that! Friday Night Fireworks started this weekend! Marcus had to work, but my parents came with us. It was Jesse's first time to see fireworks. He wasn't all that impressed. I have never been skilled at taking pictures of fireworks, but here is proof that we saw some! Saturday night we went to Six Flags and got season passes! We had lots of fun at Disney World, so we thought this would be a cheaper and almost as fun option. 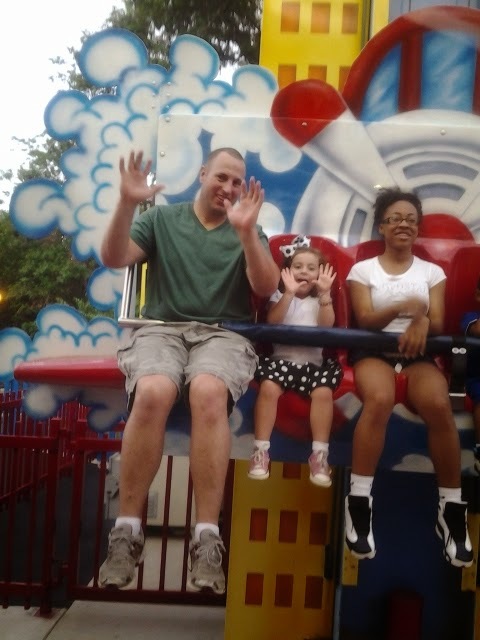 They had several little kid rides for her. And for me too, because I am kind of a chicken! This could easily become the summer of "The Baby", so I am trying to plan fun things for Katie. I'm going to sign her up for gymnastics and a princess class at our rec center. And she will take swimming lessons too! She will have a well rounded education this summer! Jesse is going to take a Spanish and a painting class. I really want to sign him up for the Sleeping through the night class! My cousin got him this onesie with all his stats on it. And I had to get a picture of his "sleeping hands". When he's really in a good deep sleep, his hands are open and in the air. We went to a graduation party tonight and I didn't see him for 30 minutes, because he got passed around to everyone. He's very cuddly and loves to be held! I was happy to let other people do the holding while I ate some chocolate cake! 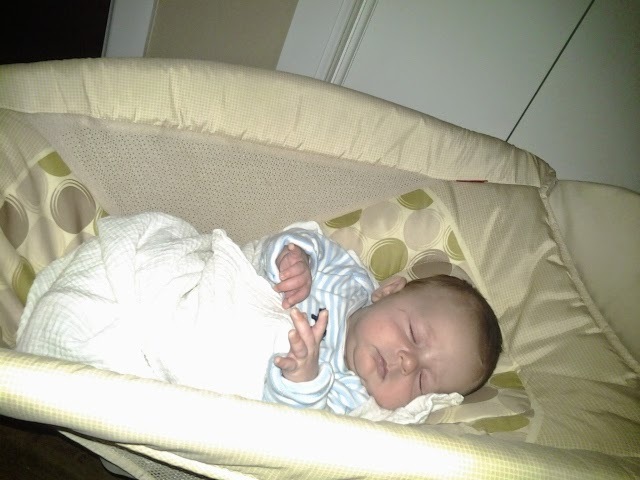 Now I need to go to sleep while his sleeping hands are still up! It doesn't last long enough!